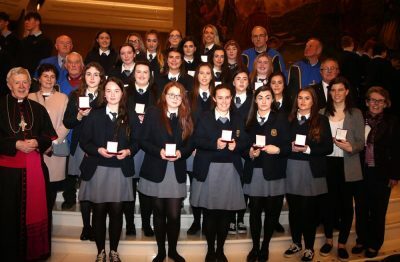 27 senior students from Scoil Bhride, Mercy Secondary School, Tuam were awarded the Pope John Paul II Gold Award in Knock Basilica. 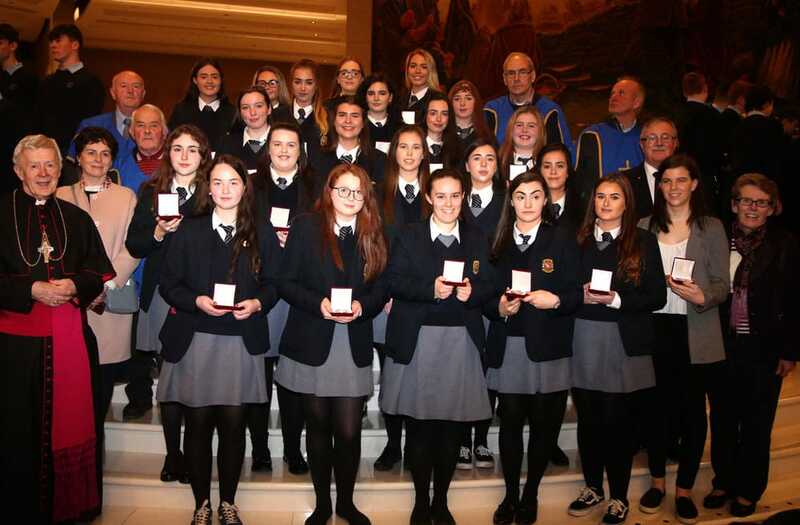 The girls were presented their awards by Archbishop Michael Neary. The Pope John Paul II Award is awarded to young people between the age of 16 and 18. The Award is non-competitive, flexible and voluntary and requires an ongoing commitment. To achieve a Gold Award our girls played an active role in their parishes for one hour a week for twenty weeks. They gave a further twenty hours developing their own social awareness. They also reflected on the important role their faith plays in their lives. We, in the Mercy, are very proud of our girls’ achievement. We thank Sr. Teresa Nolan for coordinating this group.